Hey there fellow travelers! Welcome to The Tolkien Road, a long walk through the works and philosophy of J.R.R. Tolkien. On this episode, we begin a discussion of Tolkien’s letters by considering a 1963 letter he wrote to his son Michael. In this letter, Tolkien seeks to help Michael work through a period where he felt depressed. In doing so, Tolkien opens up about his own faith, and how he keeps his head afloat in the world. By the way, if you haven’t already, please leave The Tolkien Road a rating and feedback on iTunes. We’d love to know what you think of the podcast. Enjoy the show! In a 1953 letter to Father Robert Murray, Tolkien admitted that “The Lord of the Rings is of course a fundamentally religious and Catholic work; unconsciously so at first, but consciously in the revision” (172). Tolkien meant that “the religious element was absorbed in the story and the symbolism” (172). While the story contains no explicit reference to Catholicism or Christianity, it is nevertheless heavily infused with them. It is true that Tolkien abhorred allegory and preferred to write stories without heavy and direct symbolism. 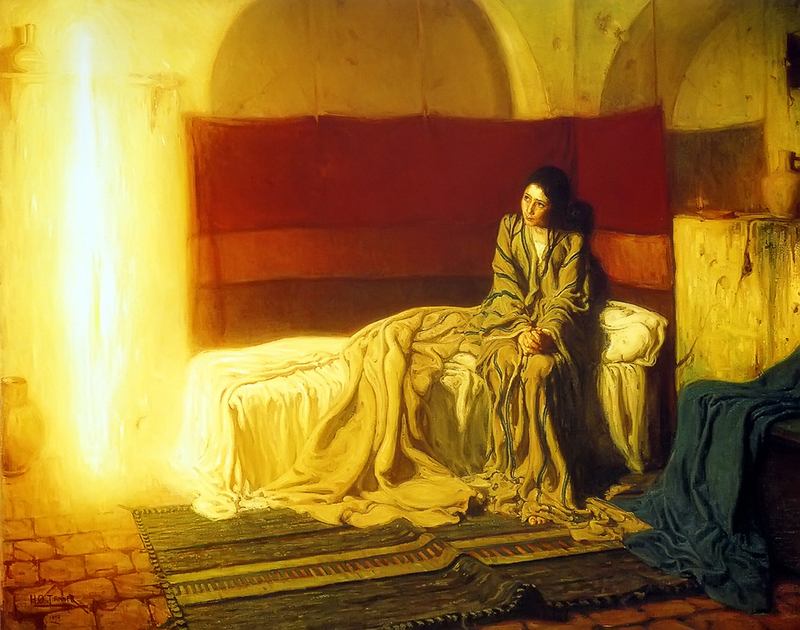 Nevertheless, on this Feast of the Annunciation, it is worth noting one very clear and quite intentional reference to Tolkien’s faith at the heart of The Lord of the Rings. Listen to find out what the new name will be! I’m really excited about this change, and the new website is going to look great. What do you think of the new name? Let me know in the comments below! Tolkien Spiritual Wisdom 2: Is everything sad going to come untrue? This is one of my all-time favorite Tolkien lines. It is uttered by Sam Gamgee upon seeing Gandalf alive (after understanding him to be dead at the hands of the Balrog in Moria). To me, this is ultimately the effect that Tolkien was going for. This is “the consolation of the happy ending” following the eucatastrophic events of The Lord of the Rings. Sam’s utterance is non-sensical. How can something become “untrue?” It belies his low-class, ignoble origins. Yet it is the language of overwhelming joy. And further, it is the language of paradox, the language of longing and hope that goes beyond the (seeming) possibilities of reality. It is the language of escape. Behold, the dwelling of God is with men. He will dwell with them, and they shall be his people, and God himself will be with them; he will wipe away every tear from their eyes, and death shall be no more, neither shall there be mourning nor crying nor pain any more, for the former things have passed away. This is perhaps the moment that all of Tolkien’s works builds to, this one moment, “poignant as grief,” when Sam the humble gardner, Sam the great Ring-bearer, unwittingly utters this prophecy. Please feel free to share your questions or thoughts on this bit of Tolkien’s wisdom in the comments below. It is one of the mysteries of pain that it is, for the sufferer, an opportunity for good, a path of ascent however hard. But it remains an ‘evil’, and it must dismay any conscience to have caused it carelessly, or in excess, let alone wilfully. You can find comments from the original post below. Thanks for visiting! Quick Takes 1 – Is This Thing On? 1. WELCOME TO TOLKIEN CATHOLIC! My name is John, and I live in Franklin, TN. A month and half a go, I received my Master of Arts degree in English from Belmont University. For my thesis, I researched the creative vision of J.R.R. Tolkien and wrote about what I termed “Fantastical Realism” in his works. I had some idea of what I wanted to do from there, but no solid plans. Then, two weeks ago, I got (happy Friday!) laid off. It was a total surprise. But I heard the still small voice. That weekend, I decided to launch this site. It’s going to be awesome.